So let me make sure that I understand this correctly 🤔; because I’m saved I’m supposed to just let people walk all over me? Talk to me any kind of way? I’m less saved because I listen to trap music? And I can’t partake in a little turn up from time to time either? The devil is a lie!! Just because I am a child of God does not mean I am not a human being too! I too live in the world full of evil and temptation! I am here to tell you I am DEFINITELY a work in progress especially when it comes to my mouth and my attitude!! I pray and ask Jesus to fix it daily! But in the mean time in between time, I just might give you what you came for and pray about it afterwards! One of my moms favorite sayings is “Just because I’m saved don’t make me no fool.” People try it a little extra when they know you saved, I guess they think you always think about “what would jesus do” 😂, should turn the cheek or be the bigger person ! And I do on my good days, but one of those bad ones, you just might! Don’t get it twisted! I’ll repent and pray about it later! Why? 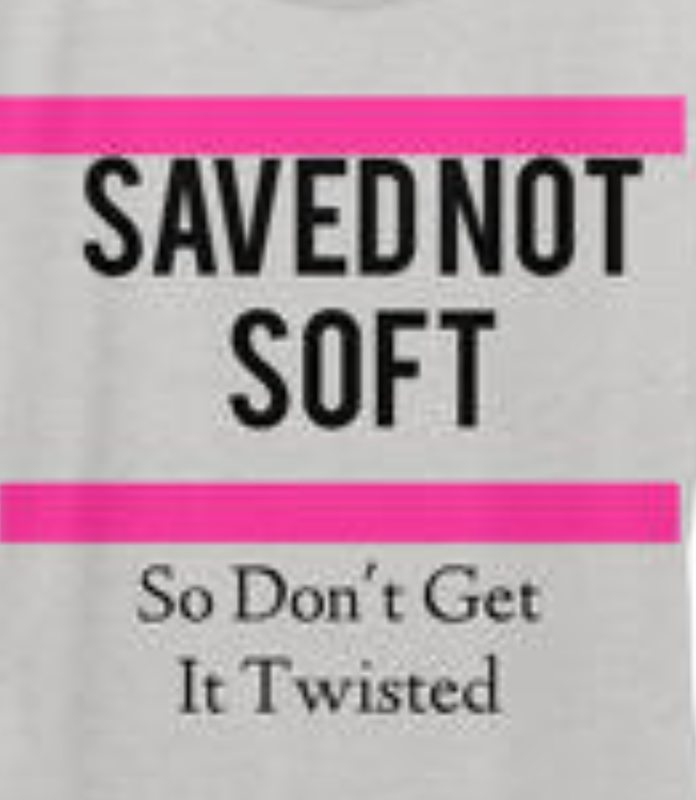 Because I’m saved not soft and definitely not slow! Hypocrites crack me up! Just because you listening to the radio version, that make you better? Well I’m here to tell you it don’t!! Sorry not sorry! Just because I choose to listen to Trap, R&B and Hip Hop music doesn’t mean I love the Lord any less or I’m not serious about my walk! Please get your life! ← YOU SIGNED UP FOR IT DOE!